Midsummer was this weekend (and the longest day aka summer solstice was last Monday) so now here up north we slowly edge again towards the dark and cold time of the year, winter. Time to think about the winter setup and procure the winter tent and stove, build a rulk and get the 3 meter long forest skis. But until then I'll try and find the time to do a couple of summer hikes. Nick from Skills for Wild Lives has a great post titled "Simplify of Die" which I urge you to read. It's about UL & lightweight backpacking, bushcraft, and the environment - excellent read. Hamilton asks how many Dollars (or Euros or Yen or Pound) it takes to lighten your pack, and it is worth reading if you plan to go lighter. In the MYOG vein Mungo injected some fresh ideas, as he makes a stuff sack out of a FedEx tyvek envelope. 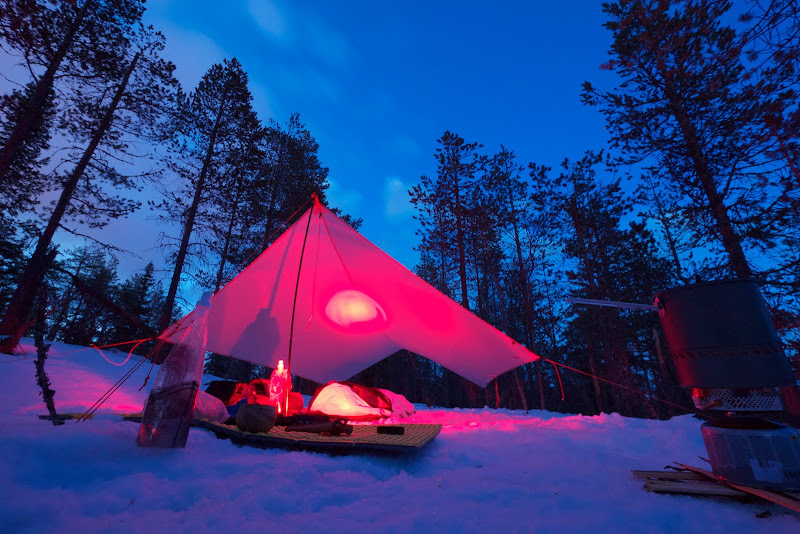 Under gear which was reviewed last week we find the Terra Nova Laser Photon review by Jörgen Johansson, which is still one of the lightest double skin tents on the market. Roman has a first look at the Katabatic Gear Palisade quilt, which is revolutionizing the quilt market quite a bit. Fraser has a review of the perfect in-camp drink, Whisky. He obviously hasn't yet tasted Minttu cacao! Andy Howell reviewed his TGO Challenge gear, which is very useful for those who think about participating in the event in the future. Peter from PTC has another Gear Diary post up, and considering the amount of time I have to do reviews at the moment this might be a smart format for all the stuff I have flying around. Anyhow, go read his! Over on sectionhiker there is a nice review of the Women's Inov-8 Roclite 260 which should be of interest for the ladies as well as the husbands who aim to get their partners outdoors! Finally, Mark tested his new BushBuddy Ultra in the garden, and his Nipsu cup is just awesome! Hamilton from Traverse Japan went on his third training hike, in which he embraced the rainy season of Japan. Geoff from Backpacking in Britain went on a three day trip along the Upper Wye Hills, an area which looks lovely in the sunshine. Roam The Hills posted Part 2 of the Kilimanjaro Shira Route hike he did in 2008, worth your time. James from Backpackingbongos wrote down his meanderings on magical Mull accompanied by some sweet photos. And Dean Read's Great Gable Wild Camp in the Lake District, now that is again one of those posts which wants me to go backpacking in the UK. Japan is represented again as Hana and her owner ascent Amagoidake.